Renewable energy is being brought up in the news and by Government parties more and more frequently in recent times. The solar industry continues to grow and with additional rebates and manufacturing costs decreasing, you are in the best position NOW to purchase quality solar than ever before! However, solar can be hard to wrap your head around. That’s why we’ve taken the time to break down what you need to know. Use this guide as a starting point on your journey to switch to solar. Let’s begin. The sun. It’s warmed our earth since the dawn of time. But now we’ve taken it a step further, harnessing the sun’s energy and converting it into electricity. In the wake of rising electricity prices, you as a homeowner have a real opportunity to make a significantly positive impact on your life, and the people around you. Slash your electricity bill: This one is simple. By generating your own electricity and consuming it through the day, you draw less power from the grid. This reduces your electrical charges as your home consumes less grid electricity. The bonus to this, is that if you generate more electricity than you require, your energy retailer will credit you a feed-in tariff (FiT)! If managed correctly, a high-quality solar system can reduce your bill to zero. It could even MAKE you money! Help you towards a more sustainable future: Investing in a quality solar system can significantly reduce your homes greenhouse gas emissions. Not to mention that with fossil fuels having an expiration date, you’ll be ahead of the crowd generating your own electricity! Add value to your home: With a quality solar system on your roof, your property value will increase. This means you continue to see the benefits of solar energy even if you decide to move out! Without boring you too much with details; solar energy will save (even make) you money, and it’ll help the environment. That sounds pretty good to us! Okay so before we can put a system on your home, there’s a few things you need to consider. Without this step, you could be stuck paying for a system that’s too big and doesn’t give you the best possible return on investment (ROI). Research here will fall into these main categories: electricity consumption, solar system design, price and feed-in tariffs. We’re going to break these down to make solar a breeze! This step is a very important one. Assessing your household’s electricity consumption is critical in ensuring you are tailored with the right sized solar energy system. You want a system that’s going to match your energy needs, especially if you’re sticking to a tight budget. Not only is HOW much energy you consume important, but WHEN you consume is also crucial. This is because solar energy is only produced during the day, so if ALL your consumption is at night, solar might not be a worthwhile investment for you. There are ways in managing when you consume energy, which we provide in our upcoming tip series. Don’t worry if you’re unsure during this process! Our expert team will analyse your electricity bill and conduct a thorough inspection of your property during our quoting process to deliver you the best possible energy solution. Alright, your consumption has been analysed and you’re a perfect candidate for solar, happy days! The next step is determining the TYPE of system that would best suit your situation. Each property is unique, meaning each solar system design is as well. You might have more shading than your neighbour, smaller roof space, a flat instead of angled roof… the list can go on! We factor in every variable when designing a solar system, to ensure the best outcome for our “We Care” solar family (YOU!). Residential solar designs fall under three categories; grid-connected, hybrid and off-grid. Let’s cover these a little more in-depth as it’s important to know what kind of design will be best for you. This is the most common solar system in Australia. It consists of your solar panels and your inverter. That’s it. The design is simple, and the most cost-effective. You consume the energy you produce during the day, and excess is sent back into the grid, crediting you a FiT. If you require more electricity than you are producing, you draw electricity from the grid like you’re doing now. This design is the best possible for families looking to purchase a quality solar system for a reasonable price (I’ll explain why in a minute). Now we’re going to do our best to explain the two types of energy solutions that contain storage (batteries). A hybrid solar system is a system that uses a hybrid inverter rather than a string inverter. If you’re looking for a battery storage solution in the future, this is not the only way to make your system eligible for one. Batteries can be retrofitted to ANY solar system using ‘AC coupling’. That’s as technical as we’ll get, promise. Now that’s out of the way, I’ll break down how it works. This system will generate electricity the same as before but will send excess energy produced to your battery first, before the grid. This means that, in contrast to a grid-connect system, you draw energy you need at night from your battery instead of the grid. This also means that in the event of severe weather or a backout, your battery will enjoy an uninterrupted power supply. Of course, that is only if doesn’t run out of juice. This system is more common in remote areas, where grid supply is limited. This system operates with enough panels AND storage to allow you to produce energy without assistance from the grid. This is not a common design for suburban areas, as it’s always a good idea to keep your grid supply as a solid Plan B. In all honesty, there’s never been a better time for you to install a quality solar system. Government rebates for solar provide a healthy discount on solar systems through STCs (read more here). And if you choose to go through a CEC approved solar retailer (that’s us), you can be assured you are given a fair price on solar energy, with lifetime support guaranteed. You can find a comprehensive breakdown on solar price ranges here. To keep it simple, in today’s market, you can get a good quality system for around $1,000 per kW. This price ranges depending on quality and brand, but it’s a good starting point. These prices only apply for grid-connected systems without a battery. Adding a battery onto your system will increase the price substantially in the current market. The government rebates around batteries are not enough to obtain a decent ROI. 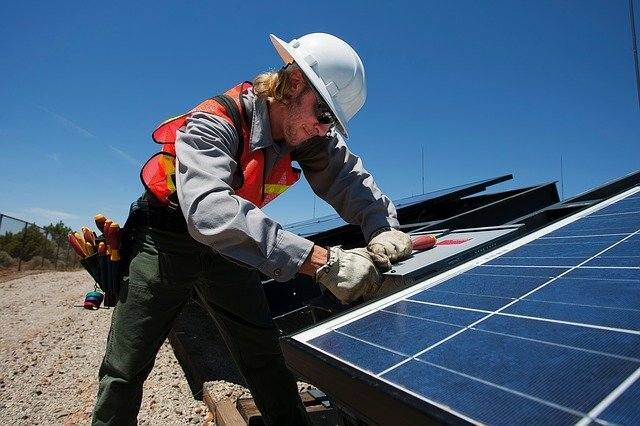 We encourage our customers to install a quality grid-connected solar system now and add on a battery as soon as it becomes an affordable investment. Pricing in the solar industry is difficult to generalise. Due to the variability in property size, shading, roof requirements and many other factors. This means that there is not ‘one size fits all’ package or size that’s going to suit everyone. Therefore, it’s important that you do your research to get the best possible return on your investment in solar. Our design process factors all these variables in to deliver our customers the best solution. Feed-in Tariffs reflect the amount of money you are credited for every kilowatt of energy you feed into the electricity grid using your solar system. FiTs differ from retailer to retailer, so it’s important to shop around and find a retailer that gives you the best FiT in your area. As they differ from state to state as well as between retailers, contact yours if you need more information on your current FiT. If you’ve kept up with me this far, congratulations! Follow these steps and you’ll be in the best position at installing solar. This process can be difficult, so look out for part two of our guide which will focus on what you need to know when choosing an installer! If you’re ready to join the “We Care” solar family, contact our office and have a chat with our team! We’re always on-hand to answer any questions you might have or book a site inspection for your property.